iPad will be available on April 3 in U.S.
Apple on Friday announced that its iPad Wi-Fi model will be available on April 3 in the U.S. The iPad 3G model will be available in the U.S. in late April, which fits the timeframe Apple set out at its launch in January. The company said all models of the iPad will be available in Australia, Canada, France, Germany, Italy, Japan, Spain, Switzerland and the UK in late April. Beginning March 12, Apple will take pre-orders for both versions of the iPad. If you choose the Wi-Fi-only version, you can pick it up on April 3 at an Apple retail store. Apple introduced the iPad on January 27 at a special event in San Francisco. 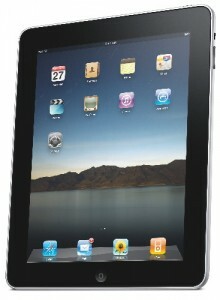 The iPad will be available in three capacities, 16GB, 32GB and 64GB, with or without 3G data connection capabilities. Without 3G, the iPad is priced at $499, $599 and $699; with 3G, the iPad costs $629, $729 and $829. The iPad features a 9.7-inch display that uses In-Plane Switching (IPS), the same LCD panel technology found in new iMacs (it provides a wide angle of view and more accurate color reproduction). Inside is a 1GHz A4 microprocessor developed by Apple, and it has 16GB to 64GB of flash-based storage capacity. It measures one-half of an inch thick and weighs 1.5 pounds. In recent days, the iPad has been recognized as one of the devices that will change the entire PC ecosystem.